Where Can I Find National Park Quarters? Earlier this year, the United States Mint began the new series of National Park Quarters, under the official title of America the Beautiful Quarters. The series will feature a National Park or national site from each of the 50 states, 5 U.S. territories, and the District of Columbia depicted on the reverse a circulating quarter. The sites will be presented in the order federally designated with a total of 56 different designs issued over 11 years of the series. The first coin featuring Hot Springs National Park was officially released into circulation on April 19, 2010. This was followed by the Yellowstone Quarter, Yosemite Quarter, and most recently the Grand Canyon Quarter released on September 20, 2010. The full release schedule for the series can be found here, although precise dates are not yet available for coins to be released from 2011 to 2021. People attempting to build a collection of the new quarters from circulation have been encountering difficulties, especially when compared with the widely collected 50 State Quarters Program. The problems stem from the lower mintages and more fragmented distribution of the current series. 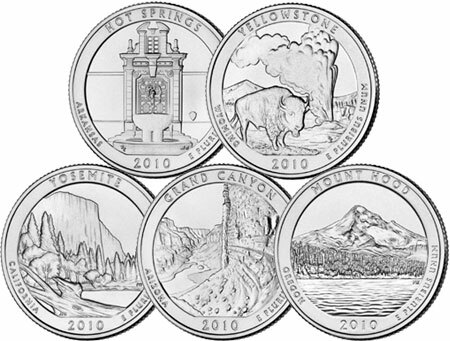 The State Quarters had an average mintage of 348 million coins per design, while so far the National Park Quarters have had an average mintage of about 67 million coins per design. The much smaller number of coins produced mean that there are less of them to go around. At the height of the State Quarters Program, the US Mint had claimed that 147 million Americans collected the series. Due to the lower mintages, it would not be possible for the same number of Americans to assemble a complete set of National Park Quarters. Throughout the State Quarters series, banks and depository institutions were provided with special ordering periods during which unmixed quantities of the newly released quarters could be ordered from the Federal Reserve. As a result, many banks ordered and received quantities of each new quarter as it was released, providing a convenient source for their customers to acquire the coins at face value. Unfortunately, similar ordering procedures were not put into place for the new National Park Quarters. Instead, the coins are distributed to meet transactional demand, without regard to specific design. With the most dependable source no longer available, many individuals have been trying to find alternative sources to obtain the latest releases of the series. Several times per week, CoinUpdate.com will receive questions from readers or passers-by asking where to locate or buy the new National Park Quarters. This article will provide the several known methods for acquiring the quarters either at face value, or a premium to face value. Some banks and financial institutions– Although there is no longer a method for banks to specifically order the new National Park Quarters, invariably some will receive them through their regular coin orders. If you are lucky enough to find a bank with a supply available for customers, you will be able to obtain them for face value. Many readers have reported calling multiple area banks without success, while others have reported inadvertently finding a bank with a ready supply of the most recently issued quarter. Coin dispensing machines at US Mint locations – Certain US Mint locations have coin machines which will exchange currency for the most recently released National Park Quarters or Presidential Dollars at face value. The machines are typically stocked with the latest release for the respective series on the official circulation release date at 12:00 Noon. 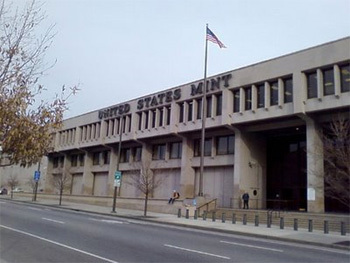 Confirmed locations for the US Mint coin dispensing machines include the Philadelphia Mint lobby at 151 North Independence Mall East, Philadelphia, PA, and near the sales counter at US Mint headquarters at 801 9th Street NW, Washington, DC. Another likely location is the Denver Mint at 320 West Colfax Avenue, Denver, CO. Launch ceremony coin exchanges – The United States Mint typically holds a launch ceremony to formally present each coin of the series. The date is usually on or around the circulation release date and the location is typically somewhere within the park. The ceremonies are open to the public and attendees are allowed to exchange currency for rolls of the newly released quarter. Past exchanges have carried a minimum of $10 (one roll) and a maximum of $100 (ten rolls) per person. Children in attendance aged 18 years and younger receive a free coin. Some collectors who obtain coins from the ceremonies have their rolls postmarked to attest to the source. The date, time, and location of these ceremonies are typically announced a few weeks beforehand on the US Mint’s Pressroom page. Bulk Purchase Program – The US Mint does sell the National Park Quarters in bulk quantities, although the minimum order requirements put the program out of reach for most individuals. The quarters are sold in bags of 200,000 coins ($50,000 face value) from either the Philadelphia or Denver Mint. A processing fee of $1,500 applies to each bulk bag and pick up must be arranged from one of the mint facilities by a properly licensed commercial carrier. From the announcement of the program on June 8 through June 22, the US Mint recorded sales of 97 bulk bags containing 19.4 million quarters. US Mint numismatic bags and rolls – The United States Mint offers a line of numismatic bags and rolls targeted towards collectors. These products contain circulation quality coins, but they are specially packaged and sold at a premium. Options available for the National Park Quarters include 100-coin bags ($25 face value) from the Philadelphia or Denver Mint priced at $35.95 each, or two roll sets containing 40 coins from each mint ($20 face value) priced at $32.95. These products go on sale to coincide with the official circulation release date and are intended to remain available for one year from that date. US Mint annual coin sets – Other US Mint numismatic products include National Park Quarters struck with uncirculated (satin finish) or proof finishes, as well as proof coins struck in 90% silver. The US Mint’s annual Proof Set contains each year’s quarters struck at the San Francisco Mint in proof quality. The Silver Proof Set contains the proof quarters struck in a composition of 90% silver. The annual Mint Set, contains examples of each quarter from the Philadelphia and Denver Mint struck with a satin finish. This year’s sets are priced at $31.95, $56.95, and $31.95, respectively. Separate sets containing only the quarters are also available, known as the America the Beautiful Quarters Proof Set priced at $14.95 and the America the Beautiful Quarters Silver Proof Set, priced at $32.95. 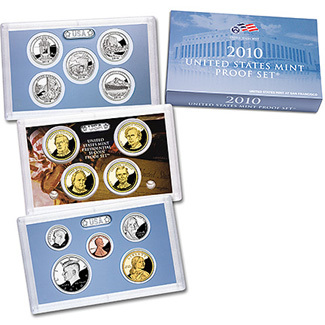 The 2010 sets are all currently available for sale at the US Mint and can be ordered online here. The 2011 sets are expected to be available for sale starting in January 2011. Other upcoming US Mint products – Several additional numismatic products containing the quarters were announced by the US Mint in mid-May. A three coin set issued for each quarter priced at $13.95 per set will include one uncirculated coin each from the Philadelphia and Denver Mint and one proof coin from the San Francisco Mint. The America the Beautiful Quarters Uncirculated Coin Set priced at $21.95 per set will include five coins each from the Philadelphia and Denver Mints struck with a satin finish. Finally, the America the Beautiful Quarters Circulating Coin Set priced at $9.95 will include five coins from the Philadelphia and Denver Mint in circulating quality. Release dates for these products have not been announced, but subscription options are available on the US Mint’s website. Coin dealers, mass marketers, and other secondary market channels – A final option is to purchase the National Park Quarters from secondary market sources such as coin dealers, mail order, television, or online auction sites. If you purchase coins from this category, you should be aware of the premium to face value you are being charged, any shipping and handling charges, and whether you are agreeing to any type of subscription or long term commitment. In all likelihood these sellers have purchased the quarters from one of the sources enumerated above, so you can evaluate whether it makes sense to pay any additional mark up they have added to their original cost. Any additional known sources for acquiring the National Park Quarters are welcome in the comments section below. The America the Beautiful Quarters Circulating Coin Set ($9.95 + $4.95 shipping) is currently only available via the US Mint’s subscription service, with no release date yet specified. This is probably the best way to get the circulation strikes for the new quarters since these coins will be truly uncirculated in the classic sense (as opposed to the new mint definition of uncirculated as a type of strike). This method was not made available for the previous quarter series but the 2009 through 2004 annual uncirculated coin sets contained circulation strike coins. This leaves only the nickel and dime as the only circulation strike coins not available directly from the mint. It is high time for the mint to offer annual P&D rolls of nickels and dimes in order for collectors to have easy access to uncirculated examples of all circulation strike coins. Circulation strikes of all of the golden dollars, the half dollar, all of the quarters, and the new cent are all available in at least roll form, with bags of all but the cent also available. Of course, all of the uncirculated strike, proof, and silver proof versions of the circulating coins are all available for purchase directly from the mint. The mint really hasn’t learned how to play the profit game yet (you know, by offering what people are really willing to pay for), and may never learn the way they are going. The mint missed a great opportunity to rid itself of millions of nickels and dimes that the banks weren’t ordering but collectors were clamoring for by rolling and bagging the coins, and is continuing to miss out on easy profits on those coins. I’m really disappointed that the National Park Quarters are not available to everyone. The coin collecting interest is growing and yet the coins are more and more difficult to collect. We buy the books and prepare for the fun of collecting them and then find out we can’t unless we order uncirculated coins which cost more than the face value. Such a disappointment. So much for coin collecting. With this scarcity, the reaction of some collectors is to continuously pursue these coins. On the other hand,I believe most collectors are going to do what I did, just ignore the entire series altogether. My kids and I visited Badlands National Park last summer and bought the collector’s maps in eager anticipation of collecting the quarters, only to find out there are darn few in circulation (I’ve found once since last summer so far). I question whether the real reason the coins aren’t being distributed the same way the state quarters were is so that the mint can make more money by forcing people to buy sets at higher prices? If so, shame on them. They have disappointed a lot of children whose parents can’t afford to pay an upcharge. In this recession, when we parents are having to scale back our expenditures, this could have been an inexpensive bright spot for our children who are having to make do with less. I am interested in acquiring some of the National Park Quarters, but am am not interested in sets or colors, I would just like three of each Park coins. Do you know how i wouls acquire them? as long as they make the park quarters, especially for cerculation. I plan on collecting the hole series . they are really cool . keep em rolling out . 🙂 i hope that they keep making the native american and president dollar coins. I plan on collecting the rest of those series as well. and as long as the banks get them . ill be there to buy them for my collection. For everyone having a difficult time finding these coins, I highly recommend contacting numerous bank branches to see if they have any rolls available for purchase. Not many branches will, but it is still worth a try. Either they are coins in circulation or they are mail-order gimmicks for “collectors.” If not in circulation then are they really coins? They are like items from the Franklin Mint, not the US Mints. I enjoyed collecting multiple sets of the state quarters for my grand children, and am presently collecting the presidential dollars. If is fun getting the albums and filling in the slots. The place I work at received a Arkansas Hot Spring quarter. We thought it was fake so we researched it and that is how I came upon this website. There must be some in circulation then. Luckily we have an employee who is a coin collector but I thought I’d let the commentors know that we did receive one in circulation. I am also very disappointed in the availability of the National Park Coins. My 7 year old daughter saw the album online at Christmas and was very excited because we had collected the State quarters. I ordered her the album thinking this would be the same program however we have went to every bank (approximately 20) in the area looking for these quarters and most of the banks don’t have a clue what I am even talking about. All the tellers look for her because she is so excited about it. She is so disappointed and sad when we can’t find them. To date I have found one of the Yellowstone quarters and my sister in Atlanta has found the Grand Canyon and the Hot Springs and an employee of mine just found two of the Gettysburg coins. So we are doing better than it sounds most people are. However since we live on the East coast we have not found any D quarters and from the sounds of things will not. I am almost at the point of tossing the album and trying to get her interested in something else. Collecting the state quarters was so much fun for the little children and the national parks would be even more as most small children are very interested in the parks. In addition, it would be a great way to teach them about the geography of our country. My daughter and I have had a lot of discussions about the state quarters and where each is from; we look at maps and research information about the states. It is really sad that the US Mint chose the National Park quarters to put out in such restricted quantities. The persons collecting for fun, i.e. the little children have no hope of finding these unless the parents are willing to pay exorbitant prices for them. I do collect National park series. But the only way I can get them is to buy from the U.S. Mint, at twice as much as the face value. 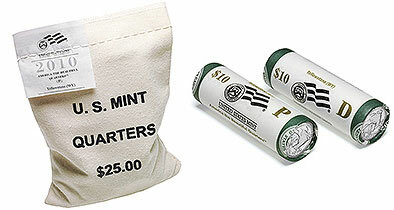 From 2011, the Mint raises the price by more than 2% for Both TWO roll set (from $32.95 to $39.95), as well as the 100-coin bags (from $35.95 to $49.95), plus $5 flat shipping fee. By this way, pretty soon, we will have to pay MORE THAN double for the two roll set. Few local banks can afford to order 200,000 quarters at once for 3%/$1,500 fee. This is why people cannot find from the local banks. People like me CANNOT afford to spend the ones we bought at the face value either. So you will NEVER see much of them in circulation, and there is NO way that one can collect the whole set in circulation. i agree this makes me mad also, i was buying each park on e-bay from dealers for like 1.50. but when i realized there are like 50 -60 more yet, im gonna spend alot. so im done i just bought like the first 5 in the series and am calling it quits. You say they are impossible to find? Paying $1.50 for one coin? Ouch. I was AT the Grand Canyon release, because I live close to there. I got some rolls at that time. Was going to give them to some friends, but they just didn’t WANT them. Odd, but they didn’t. So if you want to buy some coins, BRAND NEW, in the ORIGINAL rolls from the LUANCH, and with the STAMPS and SEALS on them SAYING they came from the launch, let me know. Only the Grand canyon ones, but that’s one i can help you with. 🙂 I’ll sell you a $10 roll for $15 plus shipping. Not some high weird shipping, but acutal shipping costs. I’ll make $5 for my time to get it to the PO and wrap it, but I’m not looking to make a killing. Just unload the ones I HAVE. 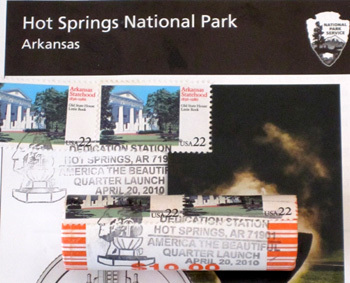 Some even have TWO stamps on them – one that says National Parks ATB Quarter Launch, and one that is a red cancelation stamp with the date on it. If you want a roll or two … or three or more of the Gramd Canyon, at a decent price, since you can’t find them, let me know. 🙂 I don’t sell on ebay, and have just been holding them since I bought them, but seeing that you may want them – I offer them to you if you still need them. these quarters can still be great fun to collect with kids without paying a premium. we go to the bank every weekend and buy 5 or 10 rolls of circulating quaters go home and look through them. you will find an ATB at the rate of about 1 per every roll and a half. they may not qualify as uncirculated but they look awfully good and will be more than enough to make your kids happy and slowly fill your book. when finished just take the other quarters back to the bank and turn them in. all you have spent is 25 per quarter and you and the kids can have agreat time together.the scarcity is really part of the fun.when I was about 10 I used to do this with my dad for pennies,Im 58 now and still remember the fun. that it will be next to impossible to collect even one mint issue, much less both mint issues. Im only 12 and I’ve already collected 18 out of the 19 released, and the 19th one was released 4 days ago. I have been lucky and have gotten up to this year (2014) without buying these coins. I think it is a darn shame that the quarters are celebrating the national parks but trying to get them is like finding a needle in a haystack. This is so wrong. Like others have mentioned who can afford the prices of these quarters from the mint?? Not the average person that is for sure.